Grrrrrr…. What was that?! A passing gravel truck? Grrrrrrr…. No. That’s clearly the sound of a 747 landing at YYC. Grrrrrrr…! Maybe a tiger, waiting in ambush, ready to pounce? GRRRRRRRRR!!! Ah! 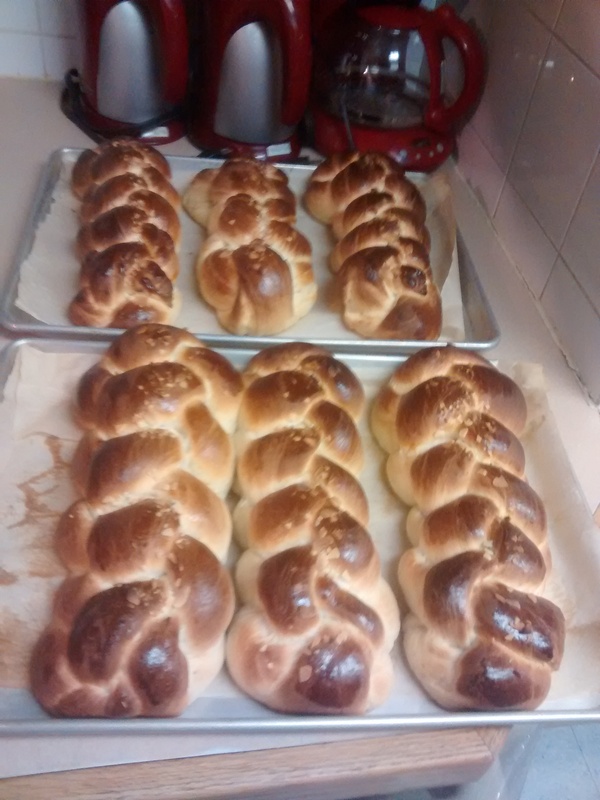 That’s the sound of more than a dozen stomachs growling in unison at the smell of fresh-baked pulla (perhaps we would have been safer with the tiger). Who knew that one basic recipe could be so versatile? 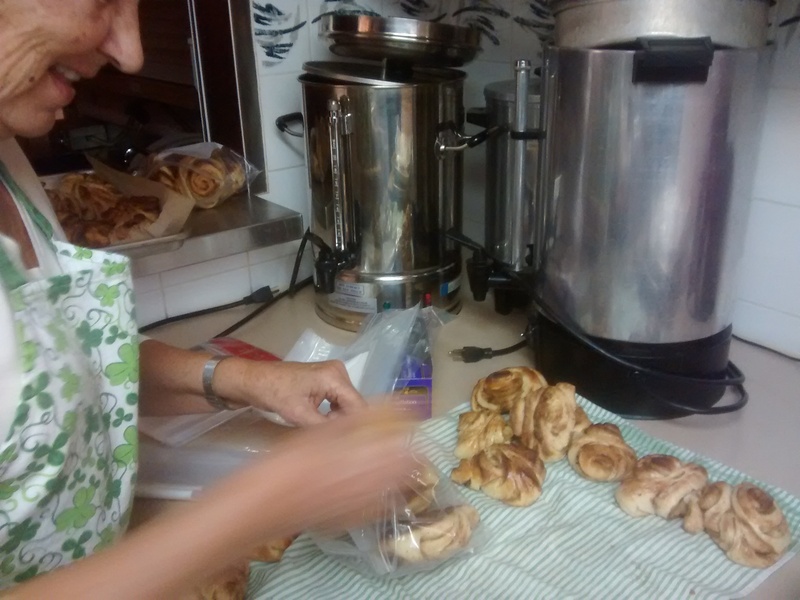 On Sunday, 25th October, at the experienced hands of the CFCA’s master bakers, the chewy, buttery, dough was coaxed into beautiful braided loaves (pulla), glistening blueberry-filled buns (mustikka pullat), and cinnamon rolls (korvapuusti). 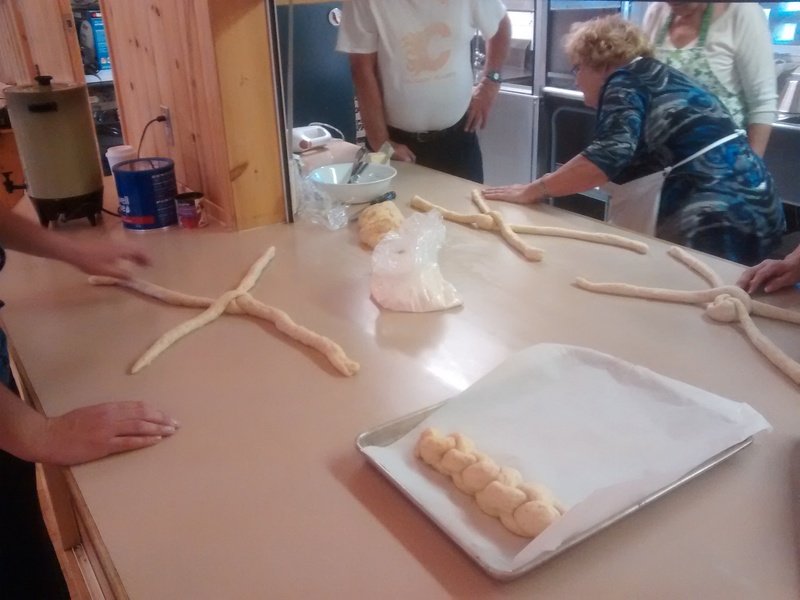 There was great attendance for this, the final baking workshop of the year. 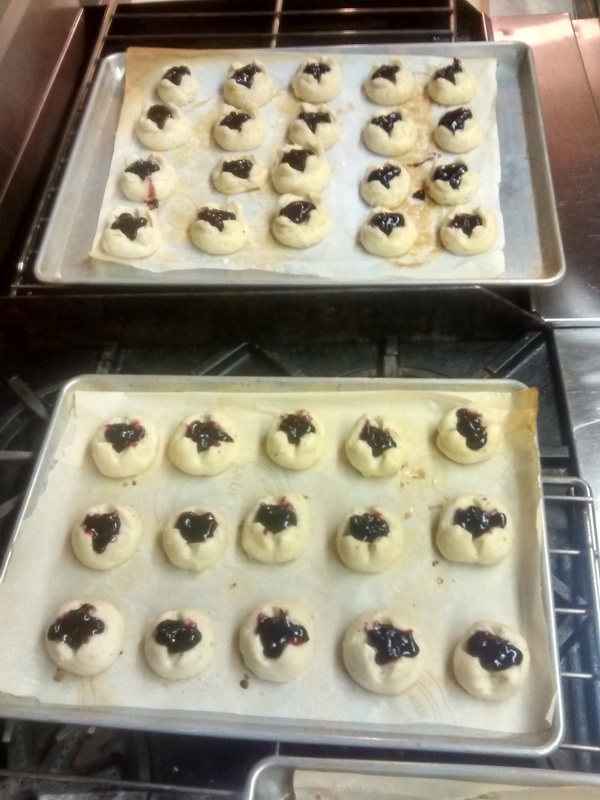 Can’t wait until the new year and new recipes!